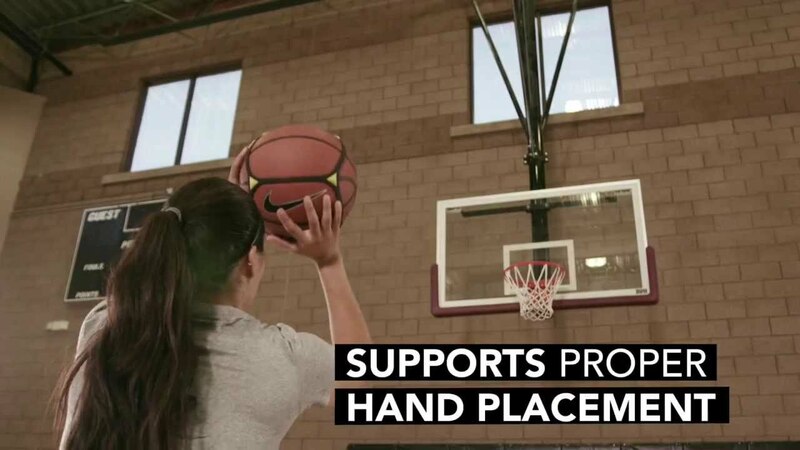 The SKLZ Square Up is a visual training aid that fits on official size basketballs. It improves shooting technique by giving a visual reference of yellow triangles on a silicone strap wrapped around the ball. It forces the player to 'square up' their alignment to the hoop to ensure the triangles are rotating back towards them.